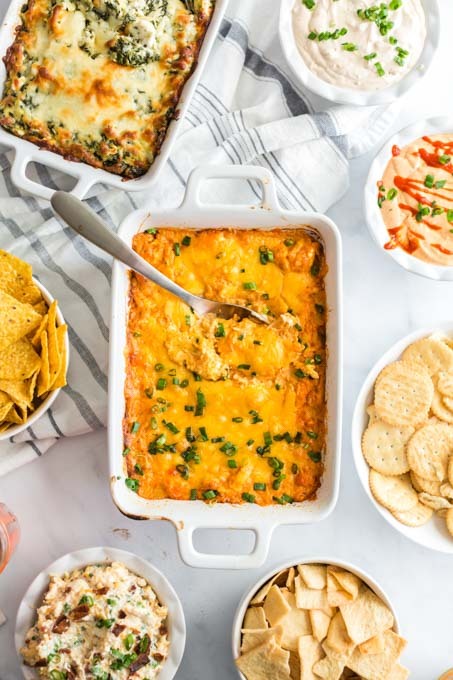 These amazing dip recipes are the perfect appetizers for a big game day party! 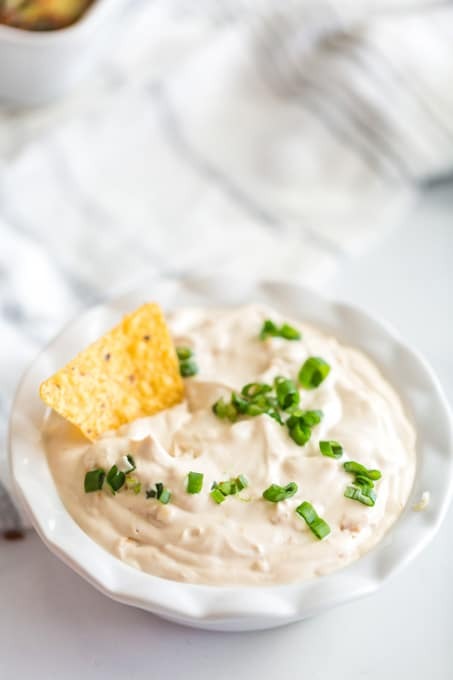 These delicious, easy, creamy, homemade dip recipes are the best game day eats you could hope to have. Filled with all the flavors you love, there is something for everyone on this list. 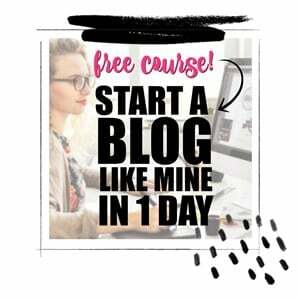 You might want to double or triple the recipes to make sure you have enough because I can promise they’ll go fast. They’re so yummy! I’m excited to partner with Mirum to bring you these original ideas. I’m always up for any reason to host a party. Because a good party means good food. And I am all about good food. With the football game day around the corner, it’s a great excuse to have friends over… and to make some delicious appetizers, as well! 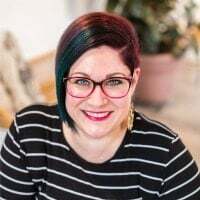 Today I’m going to share five — yes, FIVE! 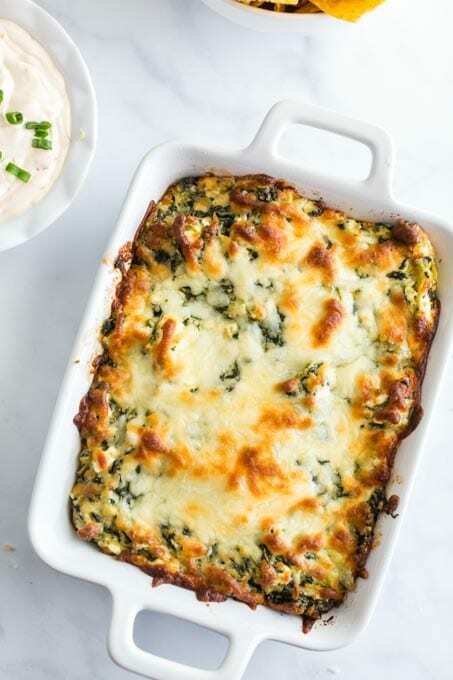 — incredible dip recipes that our family loves. Dip recipes are a versatile and tasty option to serve at any event. They’re especially perfect for game day snacking. They are so easy to make and serve. I can put them together before the guests arrive so that while my gang is here, I can enjoy eating and chatting instead of working in the kitchen. They’re also easy to take along to a friend’s house or tailgating. Clean up is a breeze as well! With so many flavor options, there is something to appeal to everyone’s tastes. Let’s talk about these yummy ideas a little more in depth. 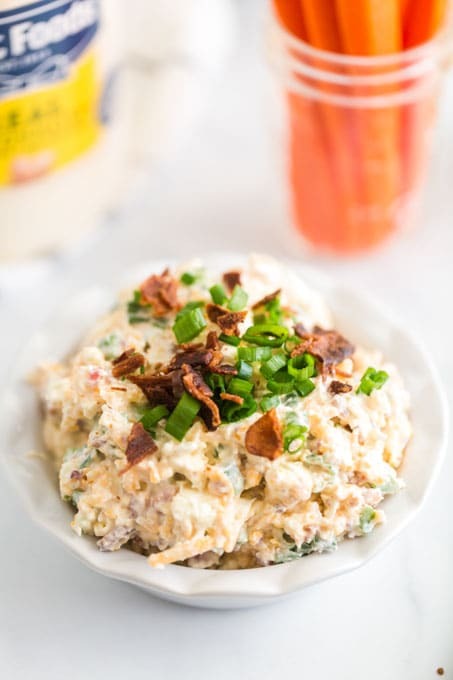 We have a Sriracha Ranch Dip, a Buffalo Ranch Dip, a Spinach Artichoke Dip, a Million Dollar Dip and a Creamy Onion Dip on the menu for our festivities. One thing all these amazing dips have in common? Awesome ingredients! I was able to pick up all my ingredients in one easy trip to Walmart. 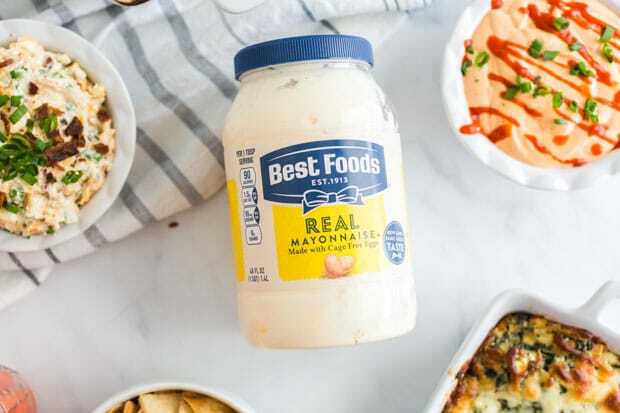 The real star of the show is Best Foods Mayonnaise! It’s made with cage-free eggs, is rich in Omega 3-ALA, and has real, simple ingredients like the cage-free eggs, oil, and vinegar. The quality comes through in the delicious taste! Any recipe you create is sure to shine with help from Best Foods. 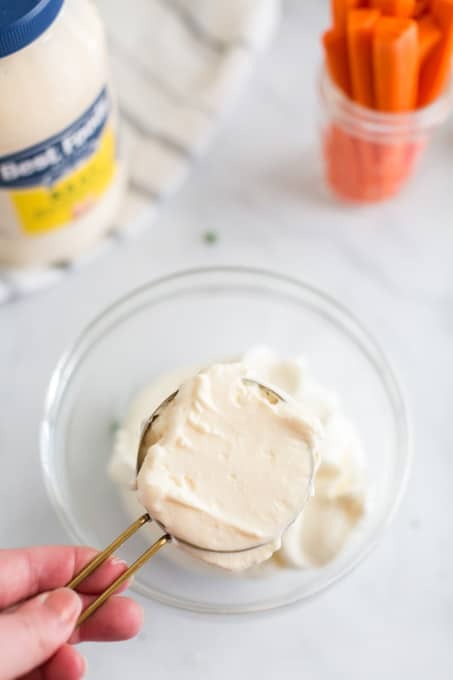 Tip: You might know Best Foods Mayonnaise as Hellmann’s Mayonnaise depending on where you live! It’s the same fantastic quality and ingredients under each label. No matter which jar you grab, you’ll find it in the condiment aisle of your local Walmart. One jar helps make all these tasty dip recipes. There are so many options. Let’s dive into making these delicious dips! 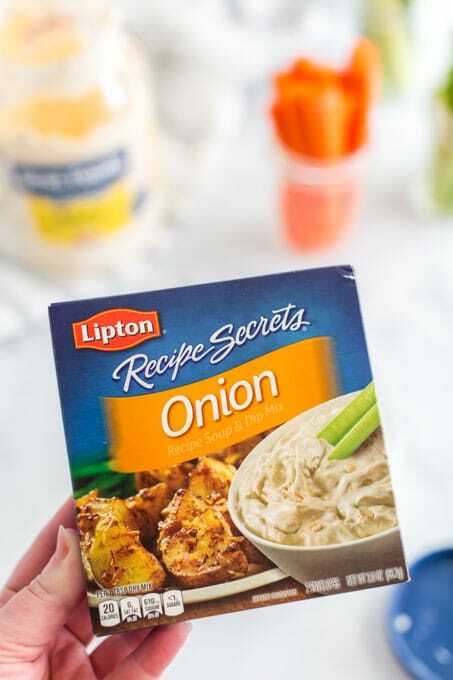 I love the spicy zip of this dip. It only takes a moment to put together and goes perfectly with all the chips, crackers and veggies your heart could desire. Transfer to a serving bowl and top with chopped green onion and sriracha drizzle. Serve with your favorite chips and veggies. 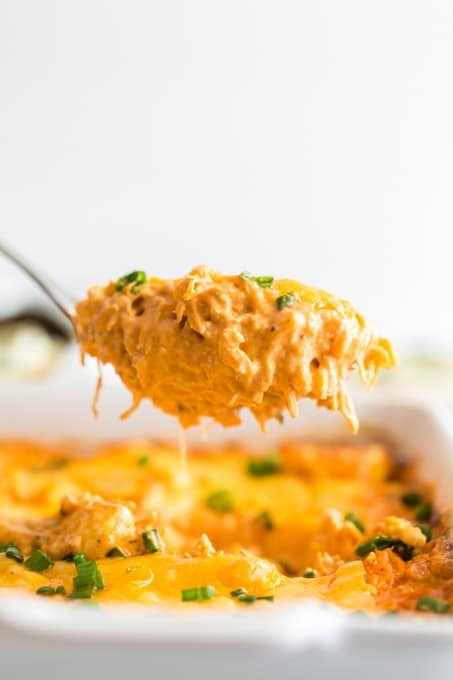 Buffalo Chicken Dip is a favorite for our crew. We actually eat it for dinner sometimes! It’s hearty, delicious and so easy to make. A winning combo in my book. Friends will undoubtedly ask you for this recipe. It’s so simple to make from scratch and the flavors are amazing. Since you bake it in the oven, it’s perfect for chilly days. 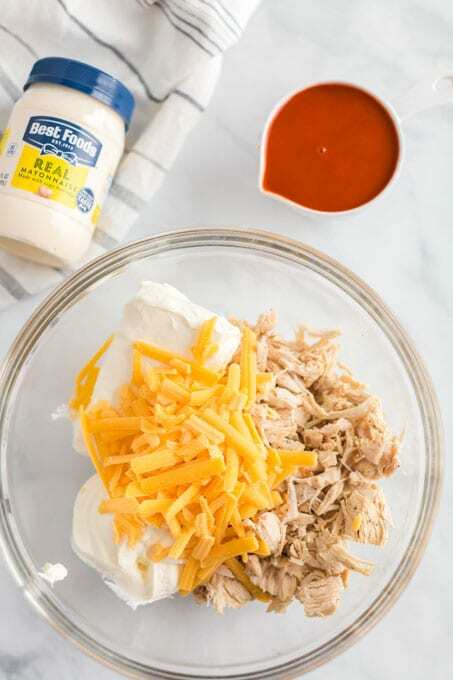 Combine buffalo sauce, cream cheese, mayonnaise, sour cream and ranch mix in a bowl and mix until smooth. Use a mixer if needed. Stir in cheese and 1 cup of shredded chicken. Pour into a 2-quart baking dish. I used a rectangle 2-quart dish but a round one will work too! Top with the remaining cheese. Bake at 400* for 15-20 minutes. Remove from oven and top with chopped green onions. This is our take on a classic appetizer. This traditional snack is ready to serve in 20 minutes with this easy recipe. I love all the cheesy goodness. I especially love enjoying it on tortilla chips or warm, crisp bread. In a medium bowl, combine mayonnaise and cream cheese. Stir until smooth. 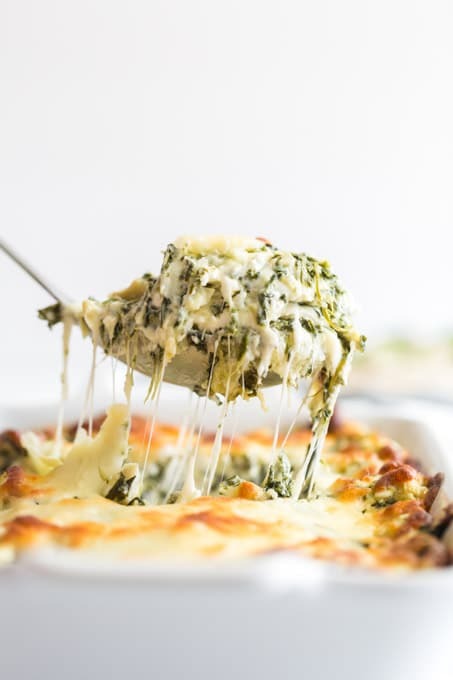 Stir in spinach, chopped artichoke hearts, crushed garlic, 1 cup of mozzarella and parmesan cheese. Pour into a 1-quart baking dish and sprinkle on remaining mozzarella. Bake at 400 for 15-20 minutes. 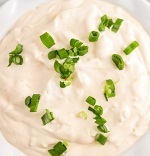 In a medium bowl, stir together mayonnaise and cream cheese until smooth. Stir in chopped bacon, cheese, crushed garlic, and green onions. 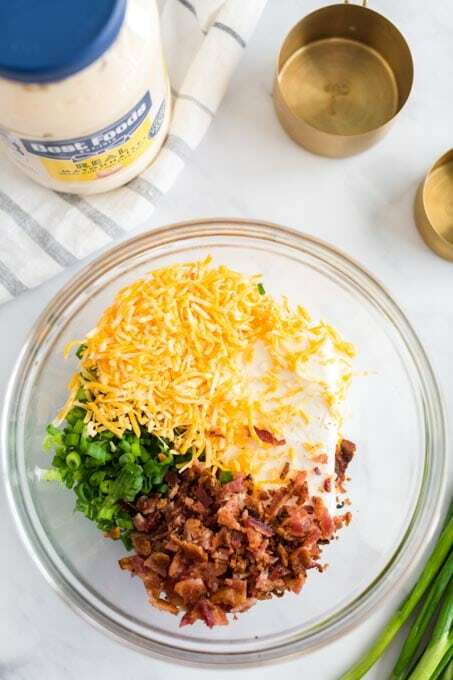 Pour into serving bowl and top with more bacon and green onions. This classic dip takes only two minutes to put together. It can probably be eaten just that fast as well, it’s so good. 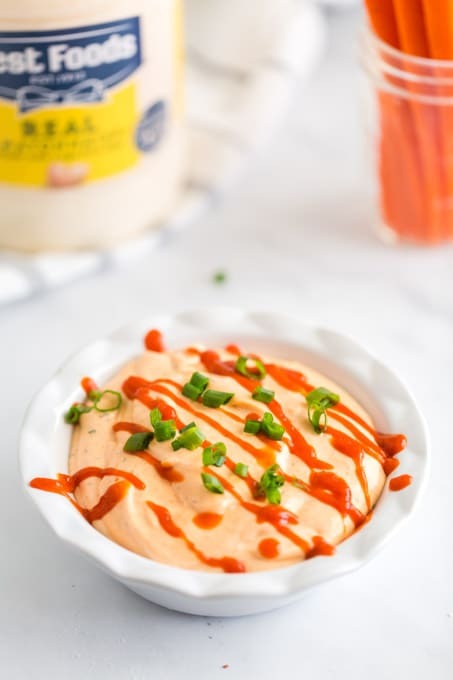 Cool and creamy, it’s perfect with any veggies you could hope to dip and it’s awesome on potato chips as well. Transfer to a serving bowl and garnish with green onion. A few minutes in the kitchen and you’ll have five awesome dips to serve your friends. Remember – you can snag everything you need at your local Walmart. Stop in the store or use the Grocery Pick Up service. I hope you’ll try them all and let me know which is your favorite! Transfer to a serving bowl and top with chopped green onion and siracha drizzle. 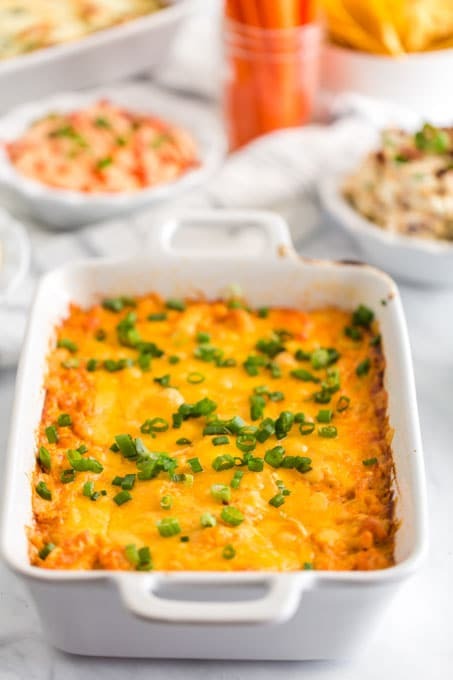 This dip is so hearty, delicious and easy to make. It's called million dollar for a reason -- this dip is incredible! It's creamy, full of cheese and bacon. This classic dip takes only two minutes to put together. 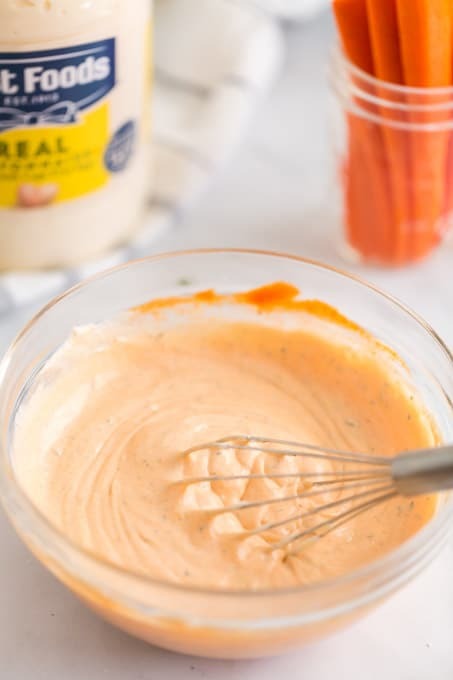 Cool and creamy, it's perfect with any veggies you could hope to dip and it's awesome on potato chips as well. Each of these dips is amazing!